Will A Presidential Repeal of Estate Taxes Impact Your Estate Plan? As power transfers from democrats to republicans in Washington, there are increased rumors of a repeal of the current federal estate tax laws. 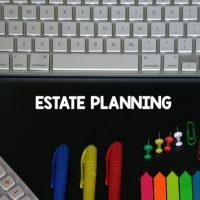 As addressing potential tax issues is one of the goals of estate planning, would a tax repeal make your current estate planning documents obsolete? The answer to that question is no. Beyond decreasing tax liability, these documents provide an important means of planning for both your own and your loved one’s future, and any repeal that is passed is likely not to impact the majority of taxpayers. After your passing, the value of your financial accounts, shares in companies or businesses, real estate, and any other personal property you own is added together. Deductions are taken for expenses such as debts, outstanding mortgages, and estate administrative costs, along with the value of any property passed along to your spouse. The remaining balance is considered your taxable estate. To this amount, any taxable gifts you have made since 1977 will be added. The IRS generally considers taxable gifts as assets and property in excess of $14,000 per year, which was not given to a spouse, political organization, or charity, or used for tuition or medical expenses. For the 2016 tax year, an estate plan tax filing is required if the amount of your taxable estate and gifts totals more than $5,450,000. If one spouse passes away before the other and does not use the total amount of their exemption, the unused portion may be used by the surviving spouse. This means that a single estate could potentially have a nearly $11 million credit. A 2016 Forbes report on potential estate tax repeals by the new administration indicates that, in 2015, less than 5,000 estates were required to file estate taxes, meaning any changes made would likely not impact the average taxpayer or their estate plan. Making sure property and assets are properly distributed to your designated heirs. The new year is the perfect time to ensure your financial affairs are in order. At Cavallo & Cavallo, our experienced New York estate planning attorneys are here to help guide you in the documents you need to protect your assets and interests, both now and in the years to come.